I was a child of the vinyl era and learned about the world through listening to record albums. I had a small but eclectic mix of LPs (as they were called) which included works by Mr. Rogers, Bible stories read by James Mason, Sgt. Pepper’s Lonely Hearts Club Band, and several recordings by Disneyland Records. Some of the Disneyland recordings were soundtracks from films and some were soundtracks from attractions at the parks. Many of these albums enticed listeners with the following nomenclature “A magnificent full-color illustrated book and long-playing record.” Even though I never visited the Magic Kingdom as a child, I was often able to virtually visit through the Disneyland recordings with “magnificent” illustrations. As an adult, I frequently played these records for my children, and listening to them was part of our family life particularly between visits. Here are my Top 5 Disneyland Records theme park recordings. Side One comprises the soundtrack from the show. Side two comprises music from The Mile Long Bar. According to the D23 website, The Mile Long Bar was a saloon that served non-alcoholic drinks and remarks that “an ingenious use of mirrors makes the bar seem like it was a mile long” (D23, https://d23.com/a-to-z/mile-long-bar/ accessed 25 Feb 2018). The first one opened in October of 1971 in Frontierland in the brand new Disney World resort. A year later saw additional openings in Bear Country in Disneyland and in 1983 in Westernland in Tokyo Disney D23, https://d23.com/a-to-z/mile-long-bar/ accessed 25 Feb 2018). Many artists are credited with composing the songs, but Disney music veteran George Bruns presumably had creative control and is credited with being the conductor. None of the voices are credited on the album, but one can clearly hear the distinct voice of Thurl Ravenscroft. This album brings us the Country Bear Jamboree and with the help of the music from the Mile Long Bar, transports us to the heart of Frontierland. We all know the song. We all know the iconic attraction which was created for the 1962 World’s Fair and has since become one of the most beloved rides for the Disney theme parks. The album presents the soundtrack from the boat ride. It is sparsely narrated by Winston Hibler, who from time to time alerts us to the different countries we are passing through. While the melody is ubiquitous, the orchestrations mercifully change to reflect the ethnomusicology of the cultures we are visiting. The voyage begins on Side 1 and continues on Side 2 until we are docked where we began. The album ends with the recording of the song. There’s nothing spectacular here, but just as is the case with the ride, the joy is in its simplicity. Winston Hibler wore many hats for the Walt Disney Company during his almost four decade career. He was a cameraman, writer, lyricist and producer. He also voiced the narration for the Disney True-Life Adventure Series. As you all probably know, the song was written by Richard M. Sherman and Robert B. Sherman. Karen is voiced by Robbie Lester. Her voice graced many Disney recordings. She appeared in many Rankin-Bass Christmas specials and did the singing for Eva Gabor in Disney films such as The Aristocats and The Rescuers. In addition to her Disney work, Lester was a highly sought after voice artist. Mike is voiced by Ronny Howard. If you are wondering, yes that is the same person as acclaimed film director and portrayer of Opie Taylor, Ron Howard. They used the soundtrack for Madame Leota, so you will enjoy the distinctive voice of Disney animated film veteran Eleanor Audley as conjurer Madame Leota. You’ll recognize Audley’s voice as that of the wicked fairy Malificent from Sleeping Beauty and Cinderella’s evil stepmother. The one disappointment is the absence of the voice of Paul Frees as the Ghost Host of the Haunted Mansions in California and Orlando. In Mouse Tracks The Story of Walt Disney Records, authors Tim Hollis and Greg Ehrbar note that “Performance fees prevented the use of Paul Frees from the attraction soundtrack. . .” (Hollis 188). Frees is one of the most accomplished voice actors of the twentieth century. In addition to the Haunted Mansion, his is the voice of the Auctioneer in Pirates of the Caribbean, The German parrot in The Enchanted Tiki Room and the character of Professor Ludwig von Drake. He is also the voice of many cartoon characters including Boris Badenov from The Adventures of Rocky and Bullwinkle and The Burgermeister Meisterburger from Santa Clause is Coming to Town. The ghost host is voiced by Pete Renaday, who does an excellent job save for not being Paul Frees. Renaday was another celebrated voice actor who was in fact the voice of Mickey Mouse for many years for Disney records and cassettes (Hollis 119-120). This album is a double treat as Side 1 includes the music from The Enchanted Tiki Room show and Side 2 takes us on a narrated Jungle Cruise journey. Admittedly, The Enchanted Tiki Room is not among the most thrilling attractions at the Disney parks, but it is not without its whimsical charms and enjoys legacy status as it is the very first attraction to feature audio animatronics. The audio animatronics were exotic birds that sing and tell jokes. The avian ensemble comprises a chorus and four hosts from different countries, Jose from Spain, Michael from Ireland, Pierre from France, and Fritz from Germany. Fritz is voiced by Thurl Ravenscroft. Jose is voiced by Wally Boag, one of the stars of Disneyland’s Golden Horseshoe Review. Boag is a multitalented performer who sings and dances, plays banjo, moves like a rubber band, and folds balloons the way Michelangelo sculpts marble. Boag was also an early inspiration for the brilliant Steve Martin. There are several songs in the show from other sources, but enthusiasts will aver that the only song that matters is the theme song “The Tiki, Tiki, Tiki Room” by Richard M. Sherman and brother Robert B. Sherman. It’s hard not to like, and even harder to forget. The music for the attraction and album was arranged by George Bruns. Ravenscroft strikes the perfect balance between stentorian authority and high camp. The music is composed and conducted by Salvador “Tutti” Camarata. Camarata, as he was often called, was involved with Disneyland Records from the early days. He was a gifted musician who was skilled at creating soundtrack albums for home enjoyment. According to Mouse Tracks, Annette Funicello credits him as “the force that shaped her successful recording career” (Hollis 50). On the front of each of these albums, not as prominently placed as the album title but still noticeable, are the enticing words “A magnificent full-color illustrated book and long-playing record.” The combination of the illustrations and the soundtrack will transport you to the Magic Kingdom in an instant. I found this record at a tag sale somewhere in Cos Cob Connecticut in the early nineties. It’s a wonderful collection of ambient music from the two Magic Kingdoms as well as some of their attractions. Are these the five absolute best? No, for who’s to say which are the best. There are dozens of worthy albums to choose from but my selections are all excellent and are special to me. You can find these Disney treasures at tag sales or on eBay. Disney has released a lot of theme park attraction soundtracks on cd and the internet has access to an exhaustive supply of Disney theme park music. Go find some that you and your family will enjoy. The following sources were used for this piece. Mouse Tracks The Story of Walt Disney Records by Tim Hollis and Greg Ehrbar published by The University Press of Mississippi, c. 2006. 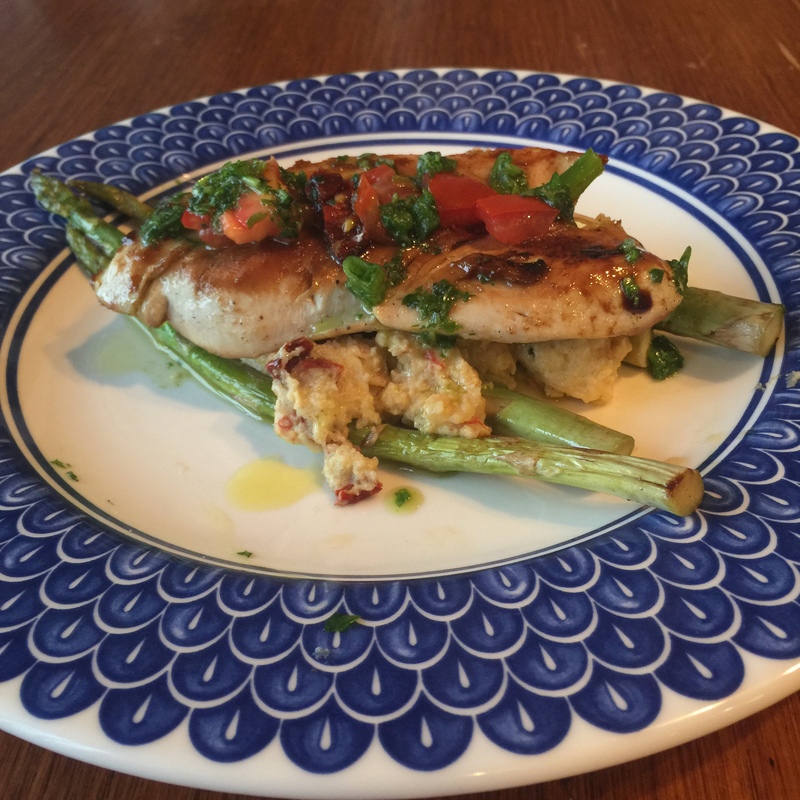 Today’s Disney recipe pick: Grilled Chicken with Sun-Dried Tomato and Goat Cheese Polenta from Chef Mickey’s Cook Book! 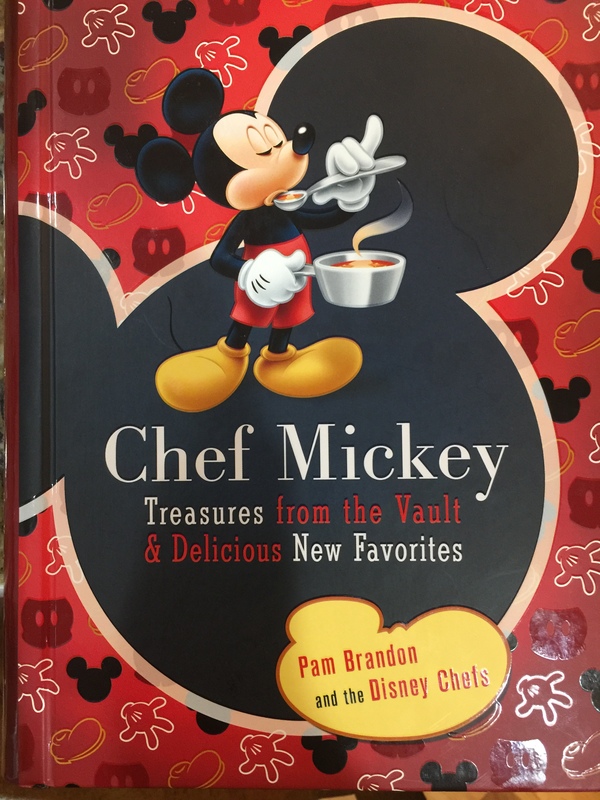 Cooking your favorite Disney dishes from the parks, resorts, and even cruise lines is the perfect way to keep the disney magic alive at home. Stay tuned for next weeks Disney recipe! While we’re home in Connecticut, my family and I are always on the lookout for nearby locations where the innovative spirit of Disney is at work. Living near New York City, we are fortunate that such locations are in abundance. One such location, the New York Botanical Garden (NYBG), is enhanced with its current exhibit – CHIHULY. Artist Dale Chihuly constructs fanciful glass structures in a variety of vibrant colors. His pieces have been displayed around the world, including at several botanical gardens. This current exhibit displays pieces made specifically for the Botanical Garden, as well as some of his early works, paper designs, and a few comparatively small pieces for sale (at a hefty price) in the gift shop. The way these pieces marry technology and nature to create immersive art experiences is not only in line with the mission of the Disney parks – it is the sort of creative enterprise that Walt himself would have drawn from. Tonight’s movie night is The Little Mermaid, a classic Disney movie released on November 17, 1989. 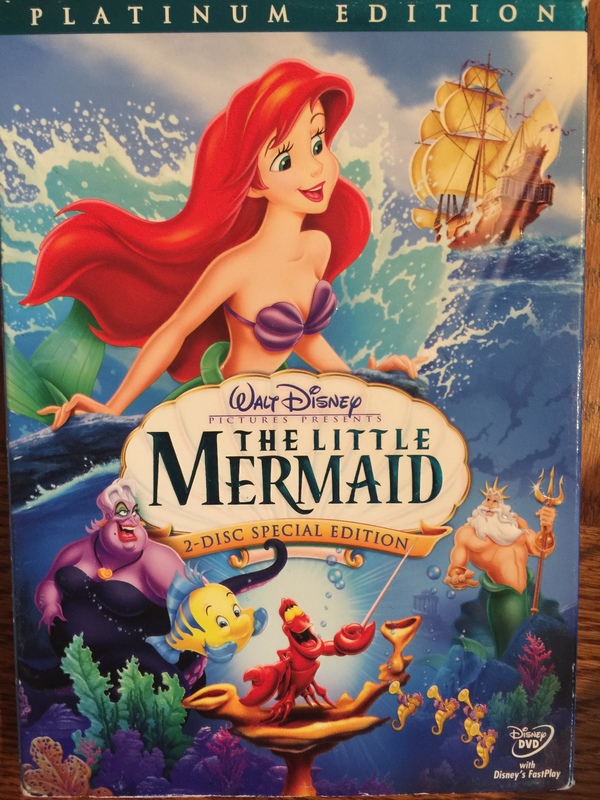 The plot follows a young sixteen year old mermaid named Ariel, voiced by the talented Jodi Benson, as she desperately dreams to experience life on land with the humans. When Ariel meets a human prince named Eric and falls in love with him, a love that her father king Triton forbids, she makes a deal with the evil sea witch Ursula that will change her life forever. The brilliant score composed by Alan Menken and Howard Ashman is masterful and will have the whole family singing along. Pandora – The World of Avatar is scheduled to debut in Disney’s Animal Kingdom Park on May 27th. This project has been years in the making under the direction of Disney Imagineer Joe Rohde. 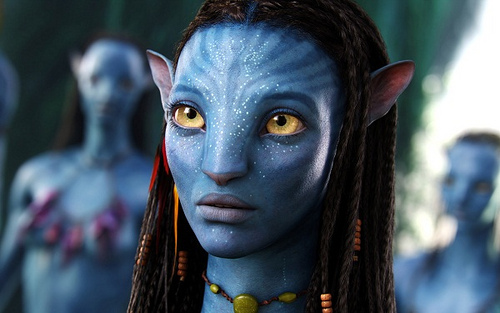 Disney has begun working on this project with Avatar’s director James Cameron after the premier of the original movie and in light of the coming sequels. The new land will take the place of Camp Minnie-Mickey, an area for character photos in the park. The guests once crossing over an old military bridge into the land will experience the exciting and magical new world of Pandora set years after the original movie, guided by the futuristic tour group Alpha Centauri Expeditions. 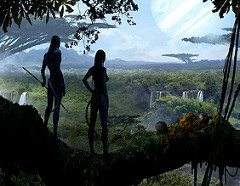 Once there you will be able to immerse yourself in the Na’vi culture through their, language, world, food, and customs. In Pandora you can soar on the backs of your own Banshee in the Avatar Flight of Passage attraction, take a boat ride through the bioluminescent forest in the Na’vi River Journey attraction, or even walk under floating mountains towering above your head. Shopping in Pandora is unique just to the land. In Windtraders you can find everything from bioluminescent shirts to your own robotic banshee with unique sounds and actions. You can even make yourself into your own Avatar! And when you get hungry there is a perfect way to satisfy your stomach at Satu’li Canteen. Here you can experience traditional food made from the natural ingredients found in Pandora. And if you’re thirsty, go head over to Pongu Pongu or “Party Party” in the Na’vi language, where you will find a unique new drink and snack experience like no other on Disney property. 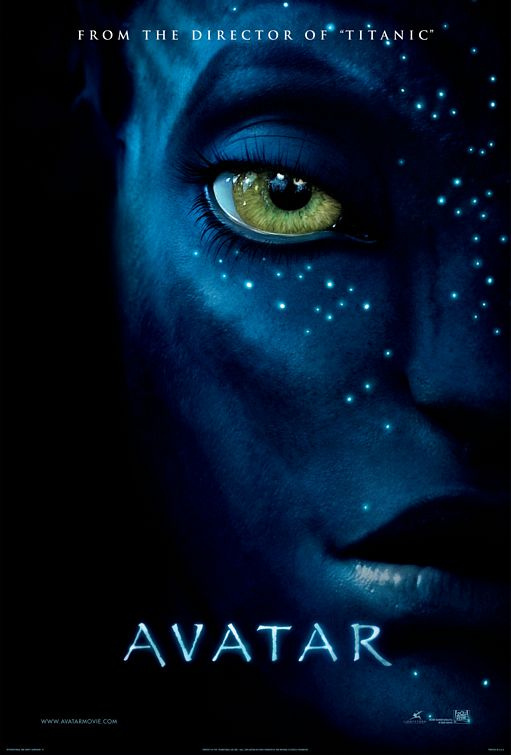 So go check out Pandora – The World of Avatar on May 27th this year and be sure not to miss it! Much as I believe the spirit of Disney is the best souvenir, physical remnants, too, can be helpful, especially when they contribute to an experience. We decided to take the “eat around the world” tradition of EPCOT home by gathering a sampling of unique candy from each country, nation by nation. 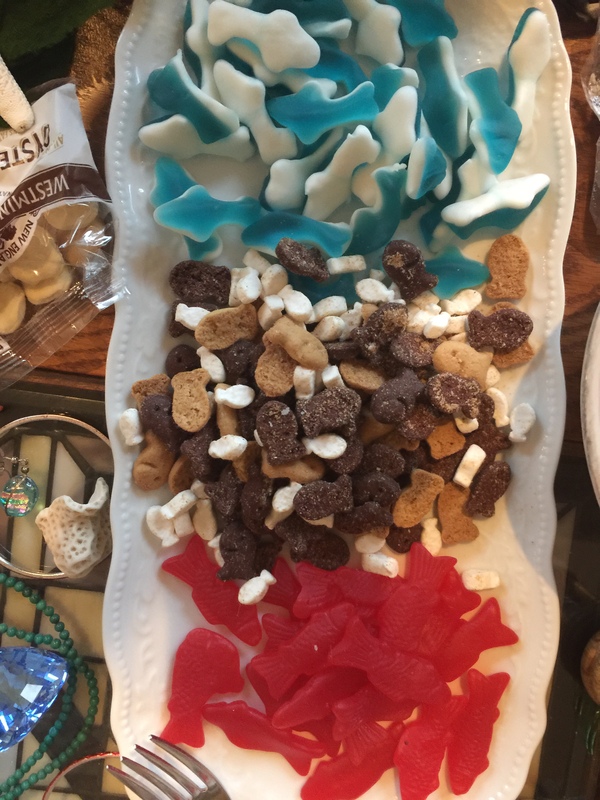 Fair warning: we may have waited a bit too long after returning home to enjoy these treats, and this combined with the several changes in temperature the candy endured on the journey caused the chocolate-based treats to lose a great deal of texture and flavor. We do intend to carry out this little experiment again (what a sacrifice! ), but in the meantime, here you go: our candy-around-the-world-at-home experience! We started out with China, figuring we’d work our way around to the more familiar desserts. The Choco-Rolls, which I would describe as a cylindrical white-chocolate Kit-Kat, were a huge hit. From Japan, we enjoyed the banana-flavored Hi-Chews (though from past experience I prefer green apple), which are a bit like gum except that they melt in the mouth. The colorful, round sucking candies with little flowers in the middle of them, whose label we couldn’t read, were sweet but had no flavor. One of the drinks, which again we couldn’t identify, was similar – it tasted like a generic sweet soda but had no particular flavor. The matcha love, on the other hand, had plenty of flavor – I described it as string bean water with an aftertaste of green tea, my friend described it as string bean water with an aftertaste of string bean water. I’ll just chalk that one up to our unsophisticated palates, though. From Morocco we sampled the Turkish Delight, something I’ve always enjoyed eating ever since seeing Disney’s The Lion, the Witch, and the Wardrobe (this is the treat Edmund requests from the White Witch). This box, from the Galil company, came in surprisingly powerful flavors of rose, mint, and lemon. From the UK, we sampled wine gums, which were tasty enough but I can’t attest to how accurate the flavors were, for obvious reasons. The Ripple bar probably would have been delicious, if it hadn’t been flattened, melted, and refrozen in transit. The only unique candy we could find from Canada was a maple lollipop, the taste of which we were all familiar with. We also tried Italian amoretti cookies – light, crunchy, almond-flavored biscuits wrapped in colorful paper. There were tiny chocolates wrapped with the colors of the Italian flag as well, but these chocolates, too, underwent abuse over time that made them inedible. The same went for the Toffifay from Germany, though the caramel and hazelnut layers of these round treats were still tasty. We also tried some classic Werther’s caramel ($0.10 each!) 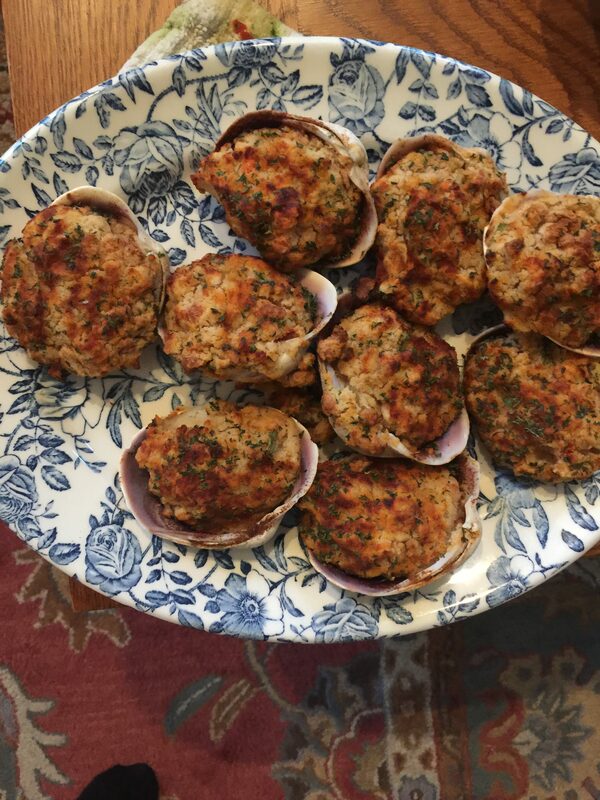 which were, of course, delicious. In Norway we picked up Troika, layers of marshmallow and jam coated in chocolate. It was decent, and a favorite of my dad’s, but not to my taste since I don’t always enjoy fruit-chocolate combos. The Daim, a crunchy bar of caramel coated in chocolate, was a bit squished but still enjoyable. The caramel, salty and crispy, tasted more like toffee to me than caramel. In France, we were surprised by the sparse selection of candy, since the pavilion focused heavily on baked goods instead. We did taste a honey-nut nougat bar, which was, once again, squished but enjoyable. Finally, in Mexico, we tried out several unique treats. Pulparindo, the spicy, salty tamarind paste, was a bit of a rude awakening, but not necessarily bad. It seemed to be one of those foods that’s an acquired taste. The same goes for the Gloria’s goat milk pecan candies, though these were less jarring. The bar of cinnamon dark chocolate did not, unfortunately, remain fresh or particularly appetizing, so we took a pass on that one, but the coconut roll was uncomplicated and tasty. There you have it! The Choco-Roll was the best find of this haul, but I’m excited to try the Toffifay and Turkish Delight again – and, of course, to sample some new candies from around the EPCOT world. Though we transported treats from Disney for this particular activity, it’s perfectly possible to collect interesting desserts like these by scouring supermarkets and local ethnic groceries. 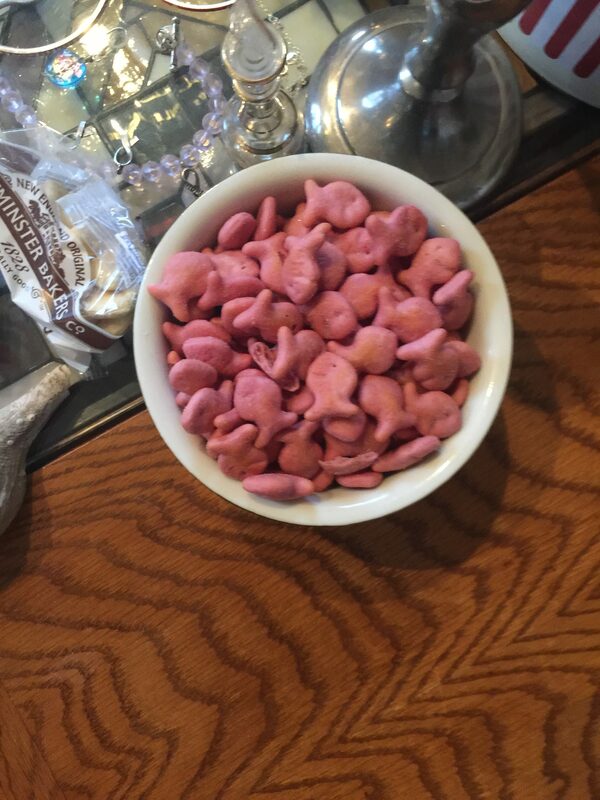 We might just try compiling our own candy around the world next time, and I encourage you to do the same! Although it’s a simple thing, I feel that getting a taste of day-to-day life in foreign countries is an important part of learning about other cultures, and very much in the spirit of exploration that EPCOT fosters. This week, Disney’s new princess movie, Moana, hit the theaters. While it doesn’t follow the conventional format of a traditional Disney princess movie, it is a amazing experience suited for the whole family. The movie follows the story of Moana while living with her tribe, from babyhood to adolescence. 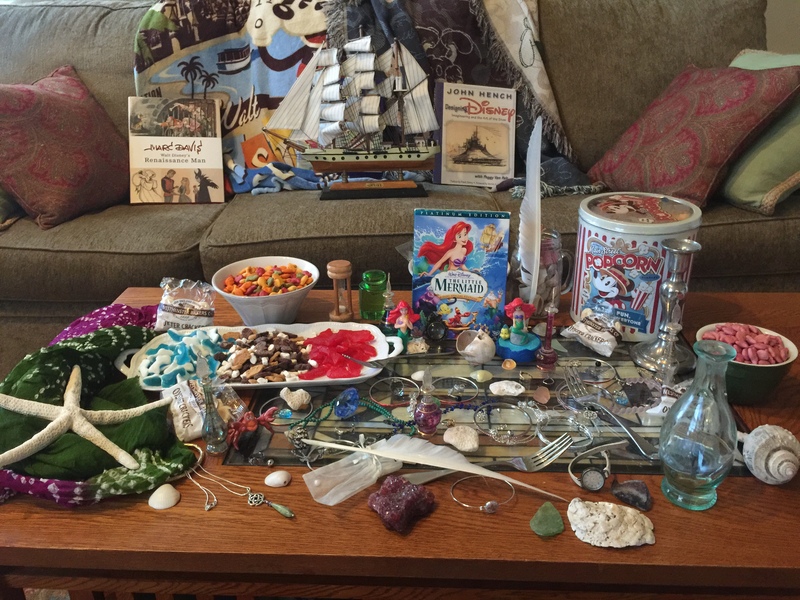 Moana has always dreamed about sailing and has felt a calling to the ocean. However, her parents warn of the dangers of sailing past the reef, and refuse to let her try. But after talking with her grandmother and making discoveries about her people’s past, she sets sail on a journey to save her island and the entire planet. Along the journey, she receives help from the self centered demigod, Maui, and her pet chicken, Heihei. They bond on their quest throughout many adventures and encounters with coconut pirates and even a giant crab. Moana is an intriguing new twist on the classic Disney princess movies, starting with the fact that she is not technically a princess, but rather the daughter of the chief. It includes beautiful intricate animation of characters and especially scenery. The tropical aspects are visually appealing and really tie together the whole movie. The music, however, was very much stereotypic of the new generation of princess movies that are steering further and further from the brilliance of the Sherman brothers and Allan Meinken, but is certainly on the higher end of that category with creative songs evocative of music in south pacific cultures. The storyline is very well planned and keeps the viewers on the edge of their seats waiting for more. 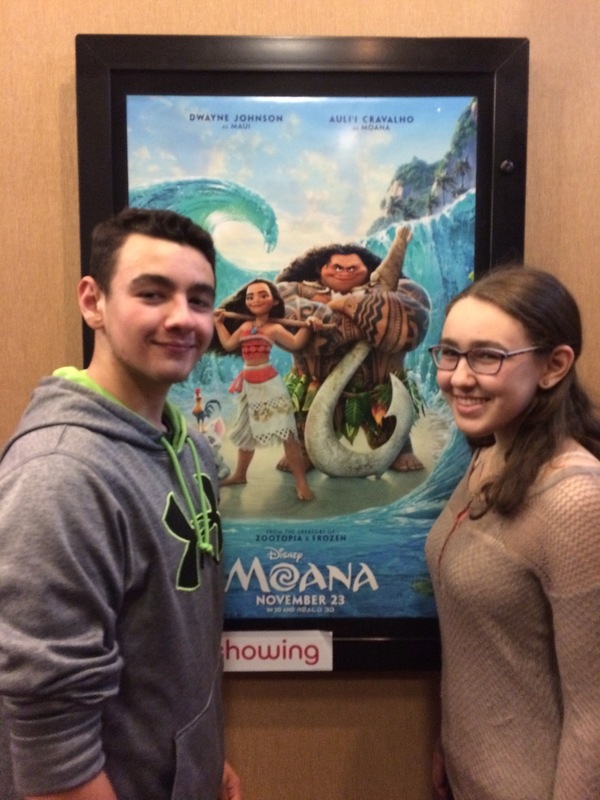 All in all, Moana is a huge success – it’s funny, it’s thrilling, it’s masterfully executed, and I would recommend going to see it no matter your age or preference. Also, see if you can find references to Sebastian from The Little Mermaid, Sven from Frozen, and even Ralph from Wreck-It Ralph. While it’s fun to configure some hidden Mickeys or fill up your home with Disney merchandise, what is it that really makes Disney such a great place to be? I’d argue it’s the little things – how it’s always clean and well lit, everybody has a smile, there are plenty of yummy treats to be had, and the flowers are always in bloom. The Disney resort is designed to delight all five senses for a welcoming atmosphere. Short of transforming your home into an amusement park, here are ten simple, subtle things you can do to bring the spirit of Disney into your home. Keeping a vase of fresh flowers, or even dried ones, on the table at all times brings a bit of nature inside and brightens up a room. Houseplants – whether a potted tree in the living room or a row of herbs on the windowsill – also bring the beauty of nature inside. It’s a little taste of Disney’s year-round gardens. Though you might not always notice it’s there, background music is constantly playing in the Disney parks. It’s used to transition between lands and set the tone of the area. Keeping some music on in the background can change the mood in a home, as well. 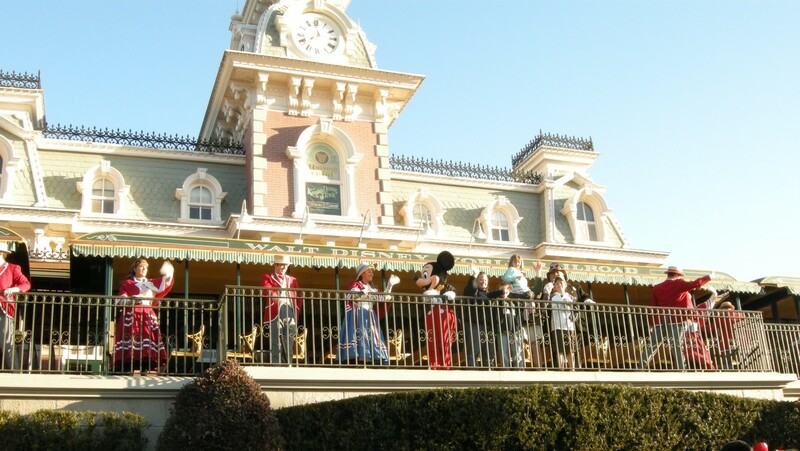 Certainly it can be Disney music, particularly the music that plays in the parks, but any tune will do. We usually keep a 40s station playing in the mornings during breakfast, and classical works well as background music ‘round the clock since it often lacks distracting vocals. Explore your local radio stations, borrow some CDs from the library, or craft playlists on Pandora, YouTube, Spotify, or your music provider of choice. 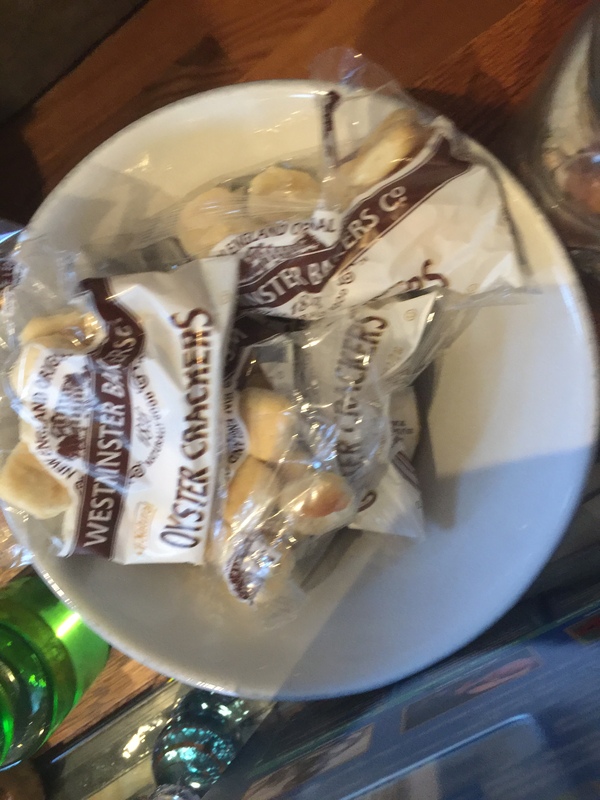 You may have noticed there is always an abundance of tasty treats available for guest purchase. 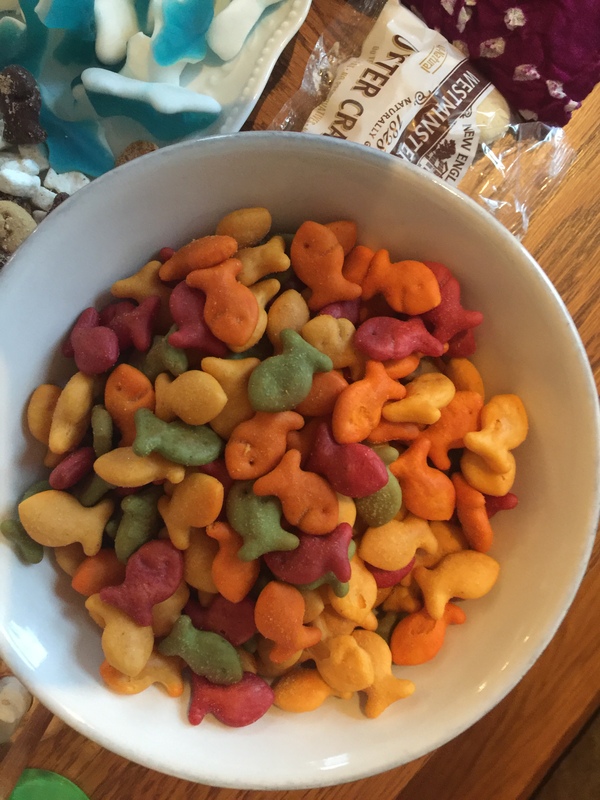 Keeping out a sweet or salty snack 24/7 may not be the best idea health-wise. But at our house we always like to have a bag of cookies or some cheese and crackers tucked away to lay out when a guest comes to visit. A bowl of fresh fruit is a healthier option for the day-to-day. At some of the fancier hotels, they also sometimes keep out a pitcher of water with fruit or lemon in it. It’s refreshing, healthy, and a little bit elegant. It may seem silly, but have you noticed all the garbage cans in Disney are beautiful? Each is themed to whichever park or hotel they’re placed in and, rather than detracting from the atmosphere, they somehow add to it. Try finding a nice trash can, it’s an inexpensive way to spruce up a room. This goes for any mundane piece of furniture or appliance that might normally be hidden away but instead can contribute to a festive atmosphere. Up until recently, the deluxe Disney hotels used to provide rolled-up cloth towels instead of paper ones in their lobbies. This may seem like a small thing, but it was just one of the many touches that made a guest feel special – there was something so luxurious about drying your hands with a warm cloth towel straight from the dryer. Try using cloth towels rather than paper ones at home. This one is a little more tricky, but we recently switched from paper napkins to cloth ones at home. They’re more absorbent, they look and feel nicer, and hey – they save paper, too! Despite being packed with people sweltering in the Florida sunshine, the Disney resort is surprisingly stink-free. Smell is an important part of atmosphere, and after all. On Main Street, USA, especially, the scent of fresh baked goods always pervade the air. At home, we like to use a flame-lit diffuser known as Lampe Berger, but any diffuser, scented candle, or air freshener can add that extra sensory treat. While you can’t exactly bring the Florida sunshine into your home, keeping things well lit is cheery. But it’s not just about how bright the light is, it’s about where it’s coming from. Keep shades open in the afternoon to let in the cheery sunlight, and light candles in the evening or in cloudy weather to foster a cozy atmosphere. Granted, this one is slightly less subtle, but still fairly unobtrusive. If you’ve ever stayed at a Disney hotel, you’ll know that Disney cartoons are playing all the time. Once I enter the lobby of a hotel and see a TV surrounded by tiny furniture, I know I’m home! While the lobby TV’s now play the new Mickey and the Gang cartoons, I prefer the classics, or even some Silly Symphonies. Either way, having some Disney cartoons on in the background morning or evening feels like having a piece of the resort in your home. A bare wall is rarely to be found in Disney World. Some nice prints – Disney related or otherwise – add decoration easily. Maps, especially, add character and present opportunities for adventure. There is always something to do in Disney World. Even in the quieter places, a guest can always be entertained. In your home, try keeping out a puzzle everybody can add to when they have a few minutes to spare. 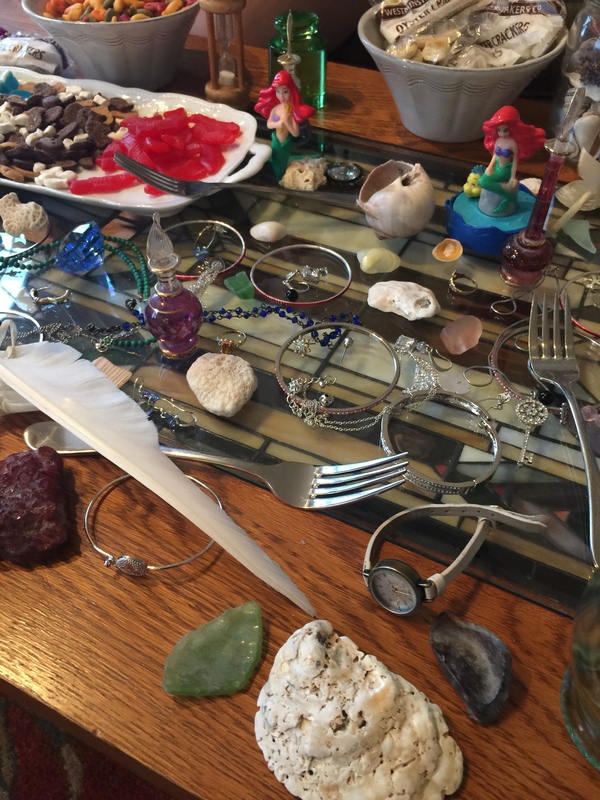 Leaving out art supplies can also foster spur-of-the-moment creativity. Try sharing a coloring book or contributing to a family collage. These are both fun family activities and calming stress-relievers. 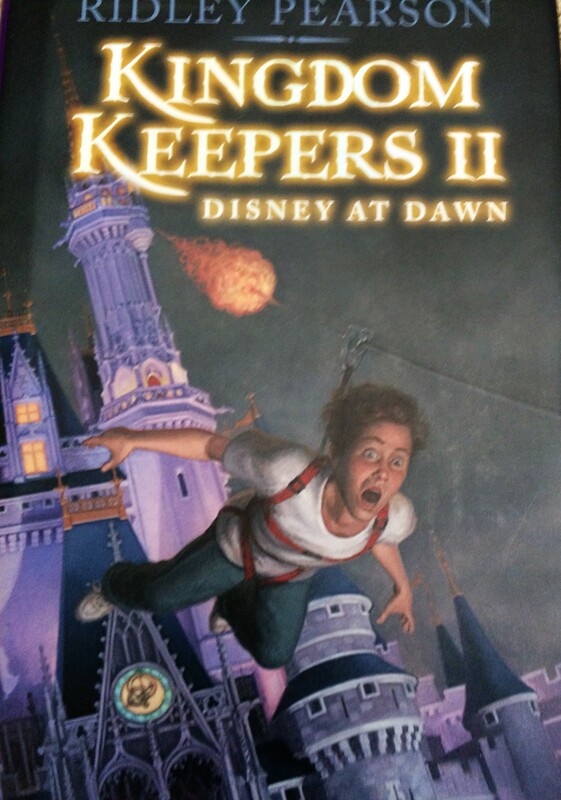 I love reading and Disney, and a great way to combine the two is reading the Kingdom Keepers series. This series is a fun way to keep the Magic of Disney alive at home. These books follow the story of five teens tasked with protecting the Disney magic from the notorious Overtakers who aim to take over the parks. 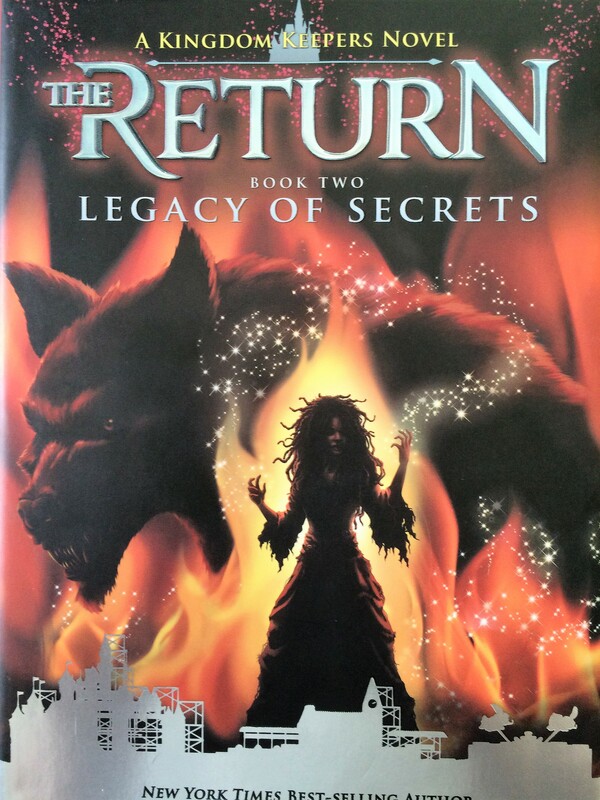 The Kingdom Keepers is a series of novels written by Ridley Pearson. 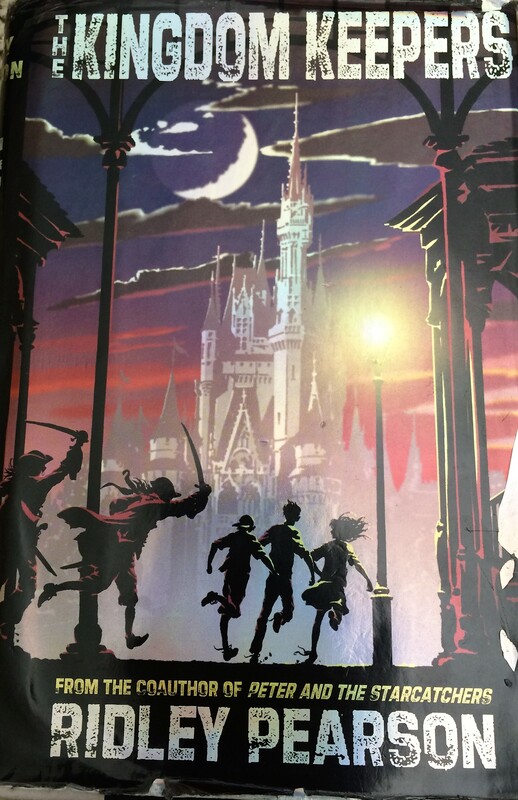 The stories follow a group of five teens, Finn, Charlene, Philby, Maybeck, and Willa, in their quest to protect the Disney parks from the group of evil Disney villains known as the Overtakers. The Overtakers are determined on taking control of the Disney parks and ruining the magic for everyone. It all starts when these five teens are chosen to be interactive hologram hosts in the parks called DHI’s. But one night when Finn drifts off to sleep he appears In the middle of the Magic Kingdom at night. There he learns from an old imagineer and Disney legend named Wayne Kresky, that he and the other four hosts have been tasked with protecting the Disney parks form the overtakers. At first he doesn’t believe that this is real, but soon learns that the he and the other four kids can cross over into the Disney parks at night in their hologram forms. The others are at first reluctant but eventually realize that it is up to them to save the parks. Their adventures take them all around the Walt Disney World resort and even in Disneyland, and who knows what’s to come in the upcoming books. You can follow your favorite characters having many adventures in some of your favorite places all over Disney World and Disneyland. These books are a great way to keep the Disney magic alive at home, and I would recommend reading them if you are looking for a good book. My wife and I started playing board games with our children when they were very young. Almost 18 years later, the games may have changed, but we still enjoy this family pastime. Playing board games is fun and that’s reward enough, but it also serves other purposes. Board games cultivate social skills. They teach you how to compete, how to accept disappointment with grace, how to concentrate, how to strategize, and even how to count. Since the early days of Mickey Mouse, the Walt Disney Company has been creating toys and games. When I was a young, I had an abundance of Disney toys and my wife and I made sure to provide plenty for our children. During this time, eBay emerged as an easy platform to shop for a wide variety of items. It was through eBay that I discovered the world of Disneyanna, a name broadly given to all manners of Disney-themed merchandise. If I could purchase something made in America, I would. If I could purchase something of an antique variety that still has a practical use, I would. So began my hunt for vintage Disney board games and record albums. No longer confined to tag sales and thrift stores, I had access to Disney memorabilia from all over the country if not the world, and I found a lot of interesting things which I will write about in time. One day I discovered Disney’s Adventureland Game. This board game was produced by the famous Parker Brothers game company. Created in 1956, it was obviously inspired by The Jungle Cruise attraction in Disneyland. At the time I discovered the game, we had been to Disney World two or three times and had plenty of free time at home (those days are long gone). We read, we played with toys and we played board games. Playing board games themed to Disney World attractions was an exciting proposition. The conceit of the game is you are on a boat trip in the rivers of Adventureland, which for all intents and purposes means The Jungle Cruise attraction. While cruising the rivers you are assigned to take three photographs of the animals or landscapes you may encounter. The first person to successfully take their assigned photos and return to the dock wins. There is no skill involved; it is based purely on luck. Its appeal lies in your willingness to pretend that you are on a real expedition. This is very easy for children to do, particularly if the adult sets the example. I handily won the eBay bid for the board game which cost only a few dollars plus shipping. There was a good reason why no one but me seemed to be interested in this item. While the board was in excellent condition, it was missing all the game tokens and some of the cards, and the spinner was broken. But I didn’t care – I wanted, no, needed, to have this vintage board game. The missing tokens were tiny boats similar to the ones on the Jungle Cruise. I looked for those tokens on eBay, as well as anything resembling a tiny boat. No luck. I did find a collection of metal Disney character figures for sale from a Disney themed Monopoly game. For $1 I had tokens and even if I would have preferred the boats, the children were delighted with the Disney characters. I tried to repair the spinner, but to no avail. Easy fix, I used a die. The last challenge was to replace the missing cards. The game is supposed to include two sets of 12 cards, colored white and pink. Each card contained an image of animals or landscapes you might encounter on the river. For every white card there is a corresponding pink card. The players are dealt three pink cards at the beginning of the game, and the object is to “take a photo” of each assigned image by matching it to the corresponding white card. You have the opportunity to take a photo when you land on a space with the image of a camera. At the time you would draw a card from the white pile. It it matches one of your pink cards, it is considered that you have successfully taken on of your assigned photographs. Unfortunately, the game was missing two pairs of cards. I suppose we could have played the game anyway, but I got inspired. That summer, our local supermarket was selling plums from a purveyor called Flavor Safari. On each plum was a detailed color painting of a wild animal. Well, I bought some plums and some pink and white card stock and made two more sets of pictures. We were ready to go. The game was an instant hit. It was so much fun to pretend you were on an authentic adventure tasked with photographing exotic subjects. I remember watching the children trying to correctly move their tokens. The counting was messy, but in a relatively short time, they learned how to accurately move their tokens on the board to the corresponding number on the die. Two or three years after I purchased the game through eBay, Disney re-released it with several other board games from that era. I could have purchased a brand new Adventureland game with a working spinner, the authentic boat tokens, and a complete set of cards, but our repaired version with the home made touches had its own charm. We still have the game and several others from that time. For many years, it brought us hours of fun. I think after I finish writing this, we’ll play a round or two for old time’s sake. In the background, we’ll listen to The Jungle Cruise souvenir record album narrated by the inimitable Thurl Ravenscroft and, for half an hour, it will feel like we are in Disney World.